I am honoured to be amongst such fantastic equestrians, writers and generally wonderful people in the running for this prestigious title. And if you think Oscar and I are worthy of such recognition please follow the link, input your e-mail, click begin to be taken to the final twelve, please click GeeGee and Me, I would be truly grateful. Haynet was launched in September 2011 by Sam Hobden, the owner of Zeb a beautiful Belgium Warmblood and driven by the love of sharing her own personal highs and lows of horsemanship. 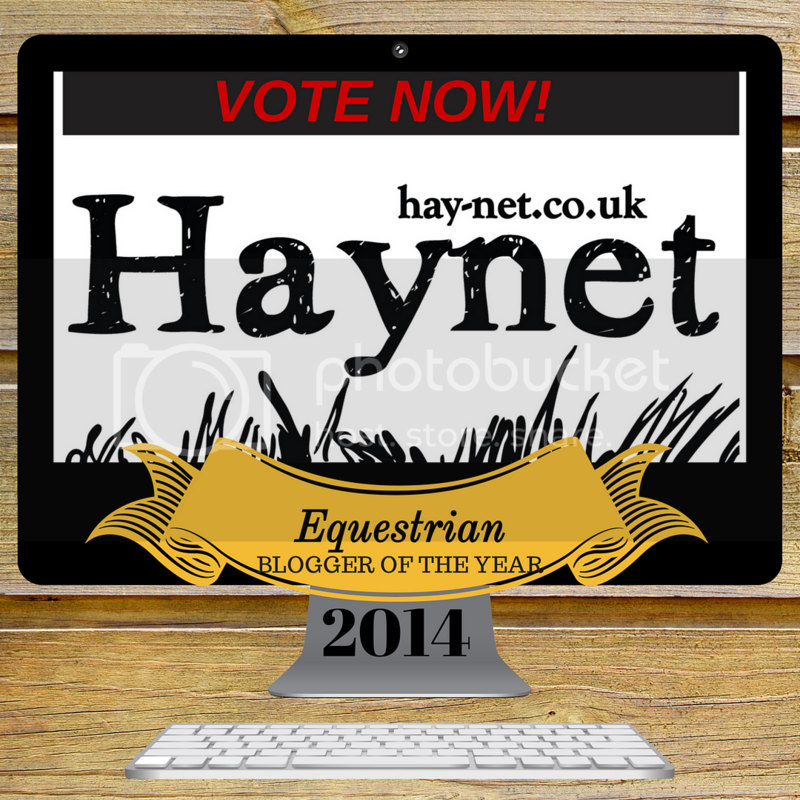 Sam's passion has developed Haynet into a thriving community of like minded enthusiasts sharing everything equine and it's one of my favourite past times to log in and read the latest posts, it's one to bookmark for anyone who loves horses.